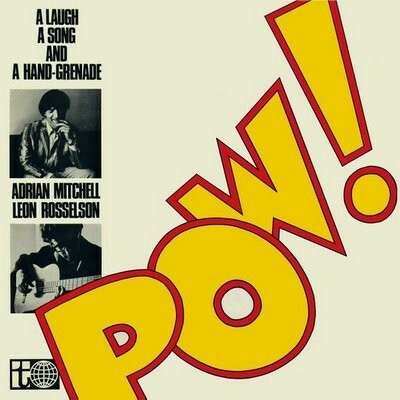 This album was recorded live in 1967, and is compiled from performances at the University of Bradford and the University of Lancaster. 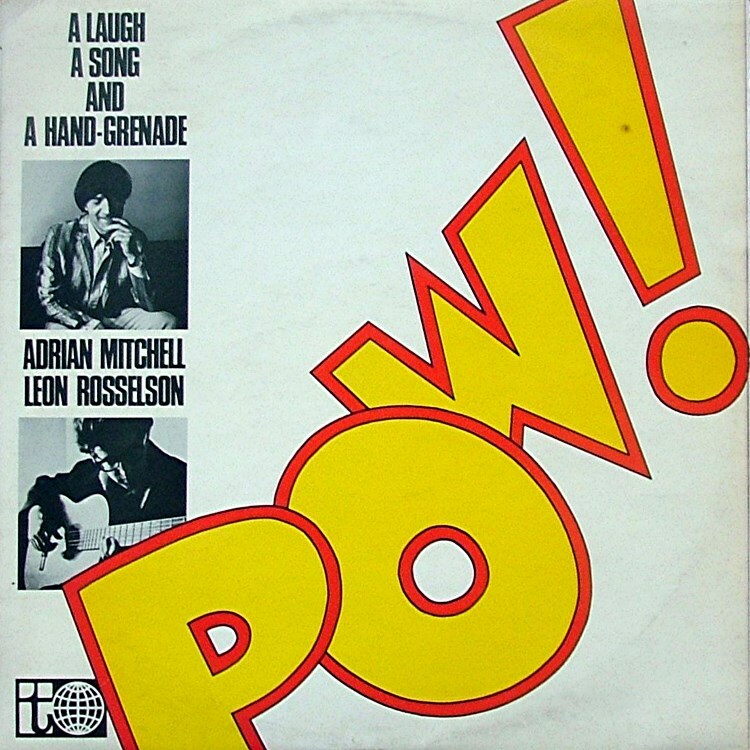 Like Leon’s debut EP, also consisting of live performance, it was recorded by Bill Leader. 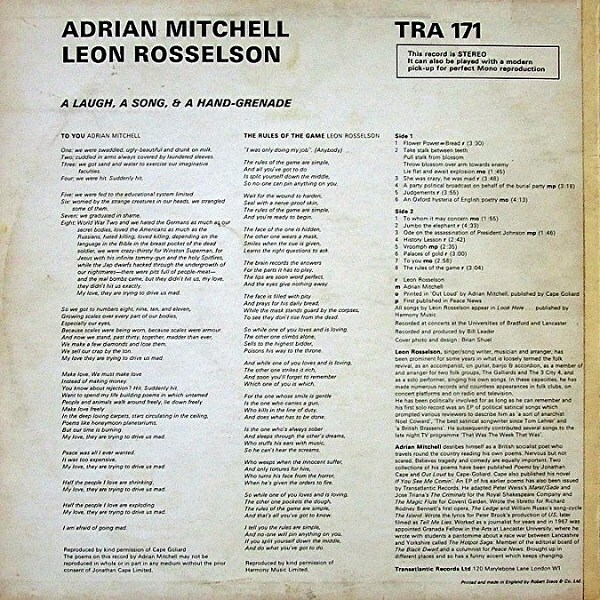 The LP is not so much a collaboration with poet Adrian Mitchell, as a shared platform. 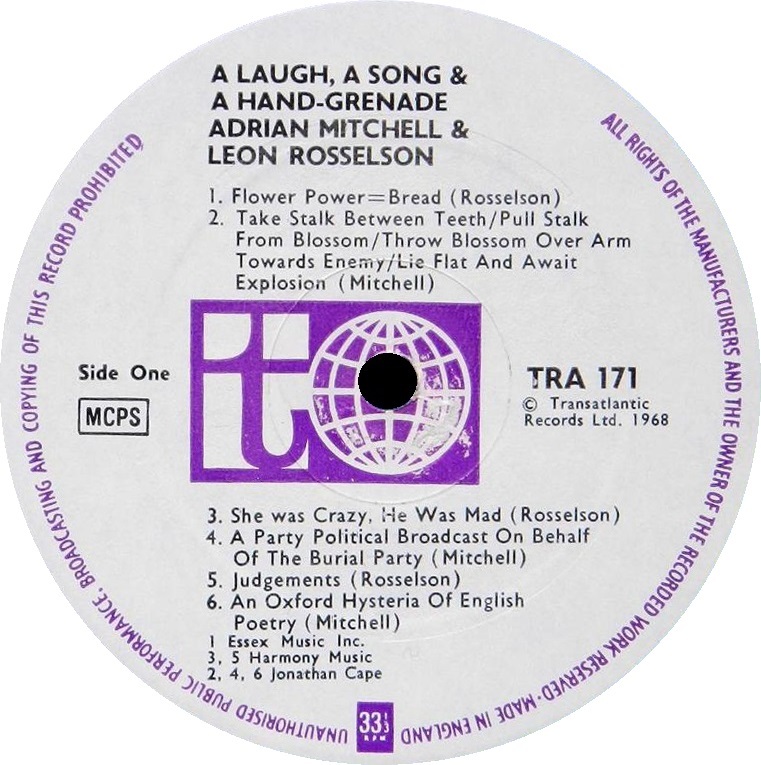 Both contribute their own individual material, Mitchell’s in the form of spoken pieces, Rosselson’s as solo guitar/vocal tracks. 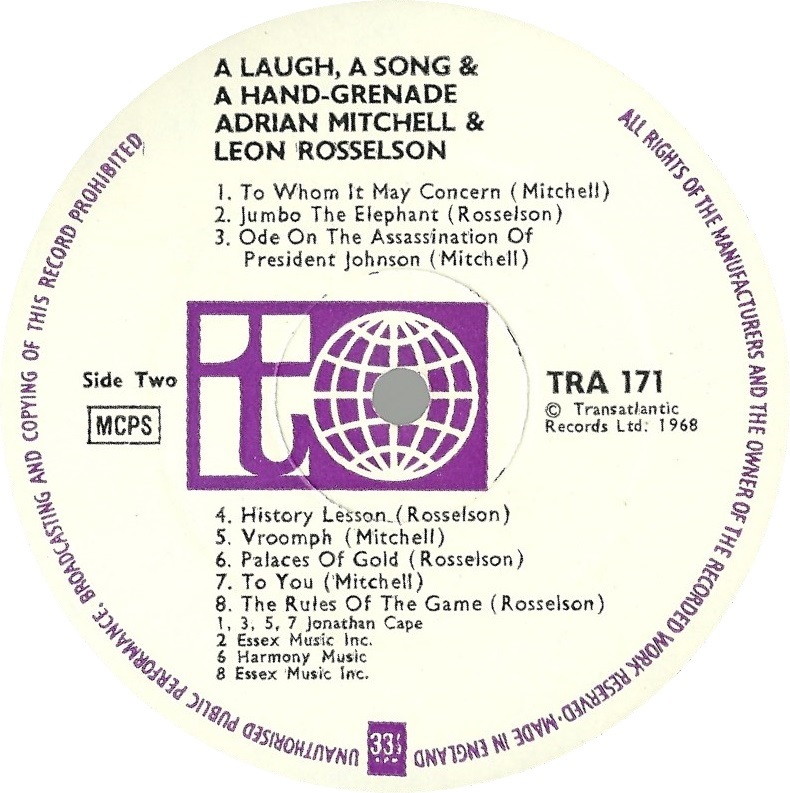 “History Lesson” appears as a solo recording, following its group treatment on the earlier LP, The Three City Four; the rest of Rosselson’s material is new.